London Properties Investment Group is a REALTOR selling in the Fresno area. Michael Garabedian is a Senior Sales Associate and former Sales Manager of the London Properties Clovis location. 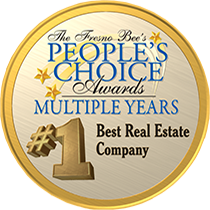 Michael has been selling Fresno Real Estate for over 20 years and has elevated himself to a level of high regard both with his clients and his peers. A born native to the Fresno area, Michael has a vast understanding of the valley and the resources to see you through any of your real estate transactional needs. Bobby Ward is a Senior Sales Associate and former Vice President of Business Development for London Properties. Licensed since the age of 21, Bobby has spent a majority of his adult life selling Fresno Real Estate. He has established himself as an annual top producer and has been named London Properties Most Valuable Associate of the Year on two separate occasions. As a group the members of LPIG have completed over 1000 transactions and are well versed in the acquisition and sales of all income property and land.